Senju Brewery in Iwata City is decidedly showing some great skills by succeeding to create no less than a junmai daiginjo with the Shizuoka-grown homarefuji rice after having milled it down to 50%, another feat in itself! Of course it is a limited edition! 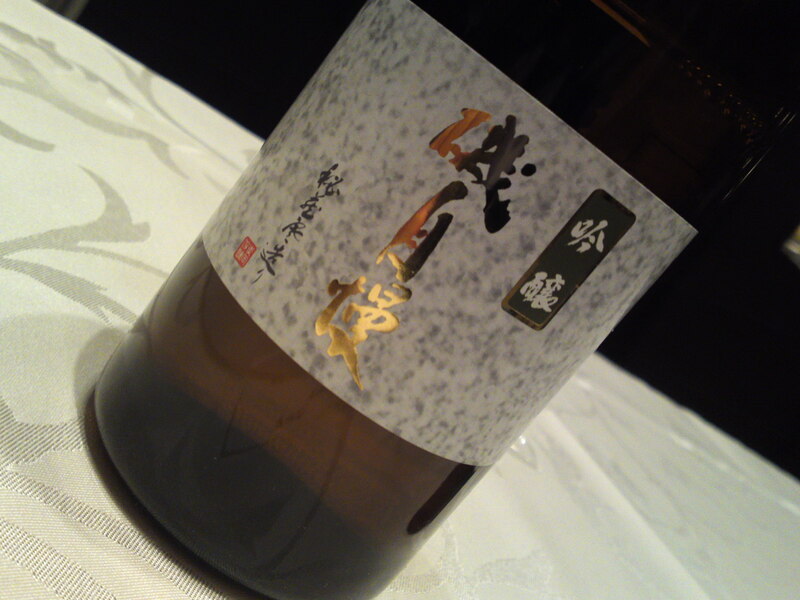 Junmai nama Genshu means that the sake produced hasn’t been modified whatsoever as shown by the white lees found inside! 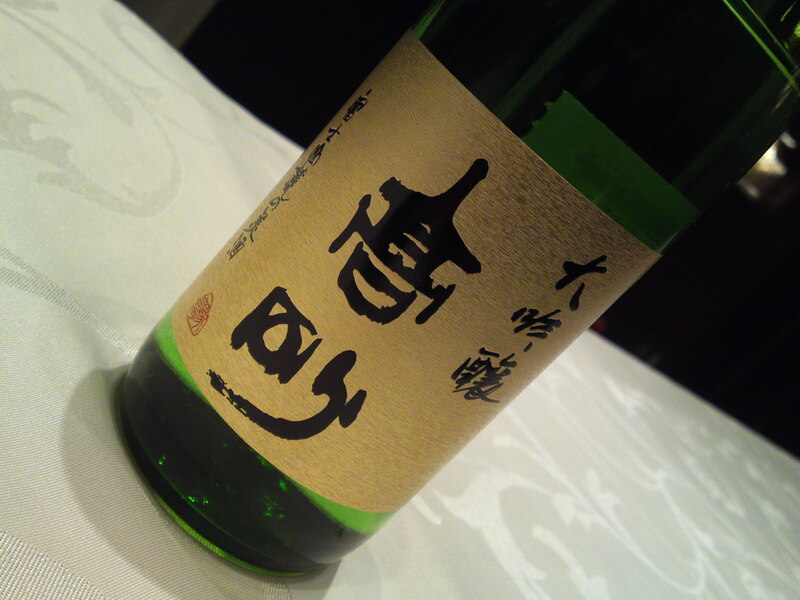 Taste: Dry and fruity attack backed by both puissant junmai petillant and dry alcohol. 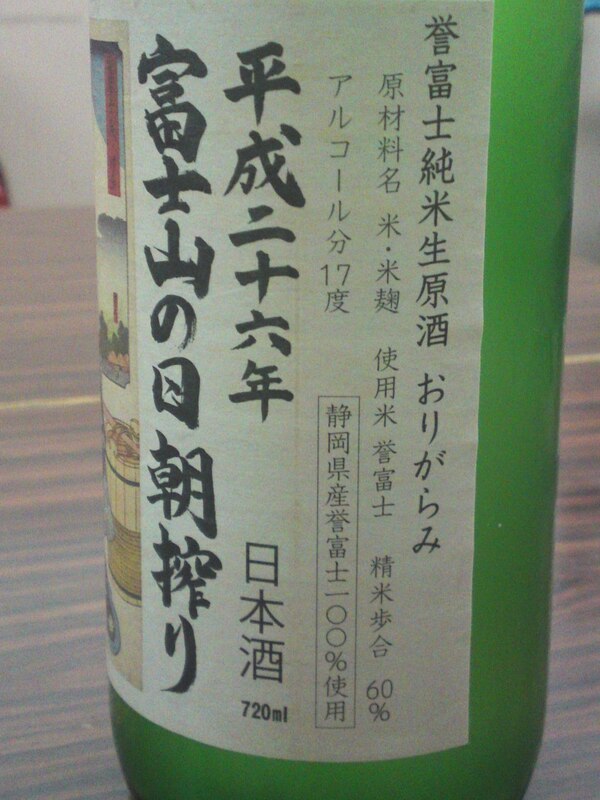 Comparatively easy to drink in spite of the genshu high alcohol contents. Very complex. Dry dark chocolate, coffee beans, oranges. Oranges tend to grow in stature with the second cup. Disappears with elusive notes of nuts, dates and more oranges. Takes on s drier turn with food with more oranges lingering on. Interestingly enough, superbly marries with cakes and biscuits. 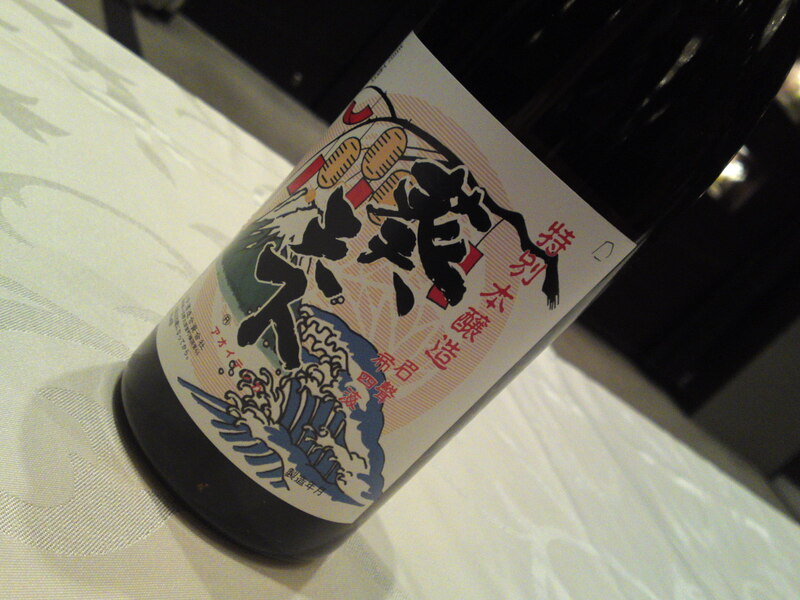 Overall: A very unusual sake by Shizuoka standards! Probably best enjoyed on its own, although it will surprise more than one with its ability to combine with cakes and cheese! Tends to reveal all kinds of facets with swift turnarounds. A sake for a circle of connoisseurs to discuss around! 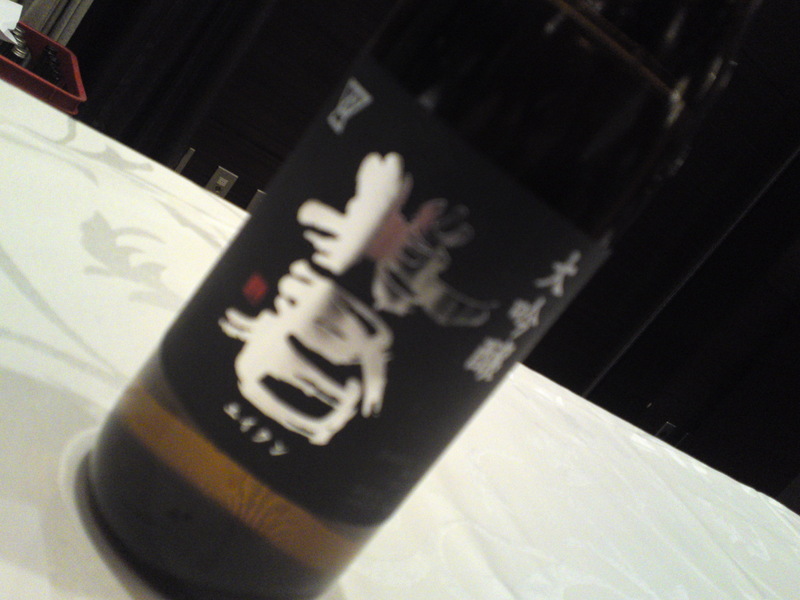 Hatsukame Brewery in Okabe, Fujieda City has come up with its own black label! The unusual name “Ikigakoi” could be translated as “Stylish Enclosure”! Even so it is a bit difficult to understand in another language! But it certainly makes for a beautiful label! 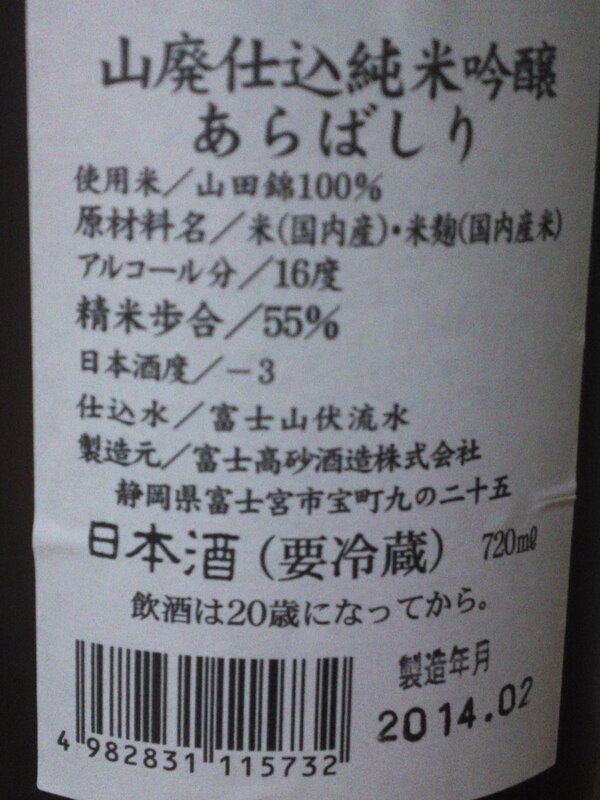 Taste: Strong attack backed up with pleasant alcohol. Complex and fruity. Apples, honey. At first almost sweetish and liquorish before ending up on a very dry note. Disappears fairly quickly with hints of dry honey. Actually difficult to “catch” as it tends to show new and very elusive facets. Changes little with food but for a less liquorish impression. 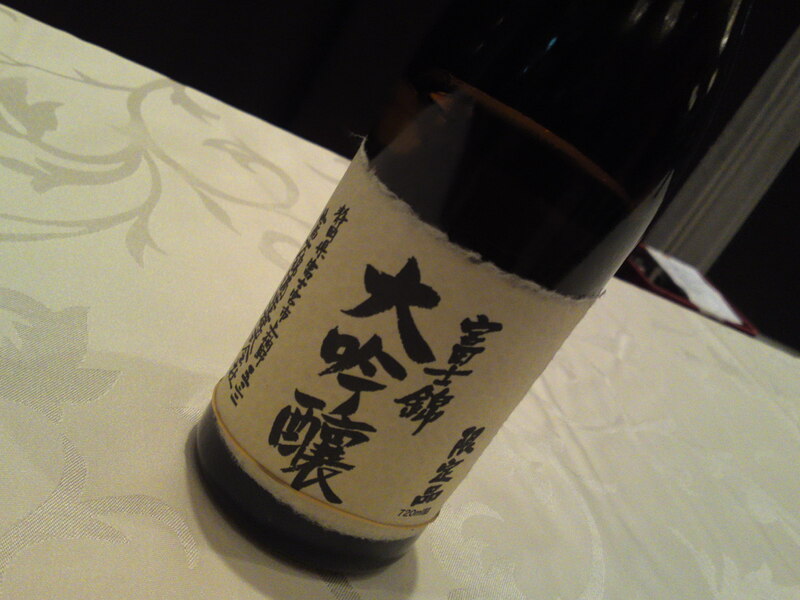 Overall: Another typical sake from Hatsukame Brewery conceived not only to accompany but to happily marry and enhance food. A sure value to drink on its own or enjoy with any meal. 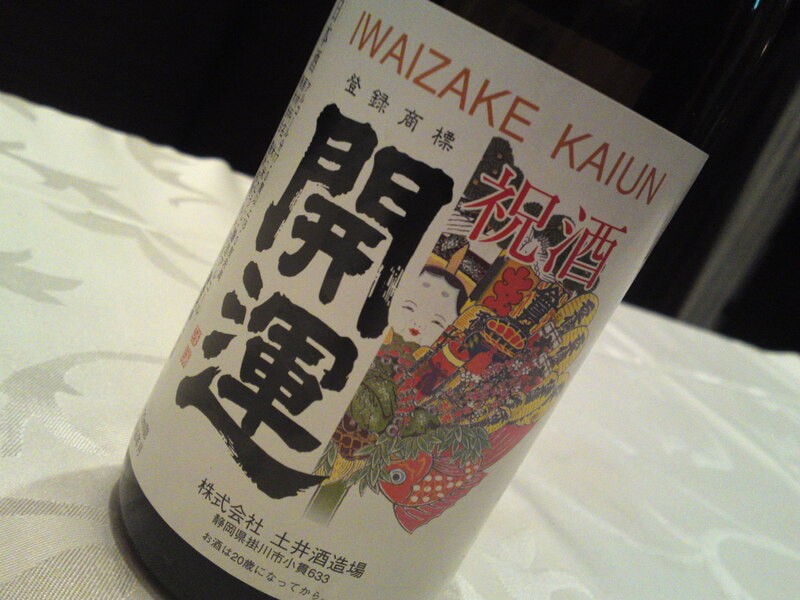 The kind of sake that will make new converts at a BBQ! 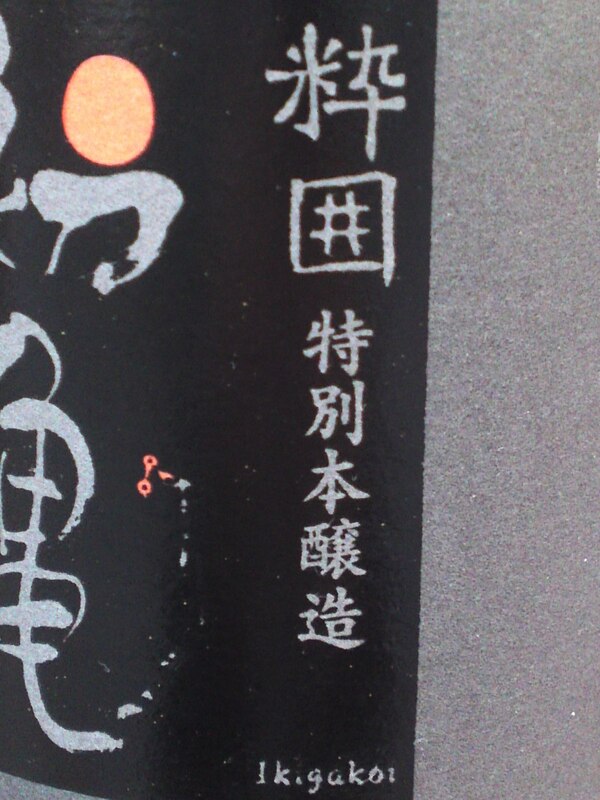 Hagi no Kura sake name certainly has a complicated story! When the present owners of Suruga Brewery were brewing sake in Kakegawa City with the help of Dogatsuru Brewery, they renamed the brewery Dogatsuru-Hagi no Kura Brewery and produced this new name Hagi no Kura. Since then Suruga Brewery left Kakegawa City and Dogatsuru Brewery to acquire the license of defunct Yoshiya Brewery in Shizuoka City. 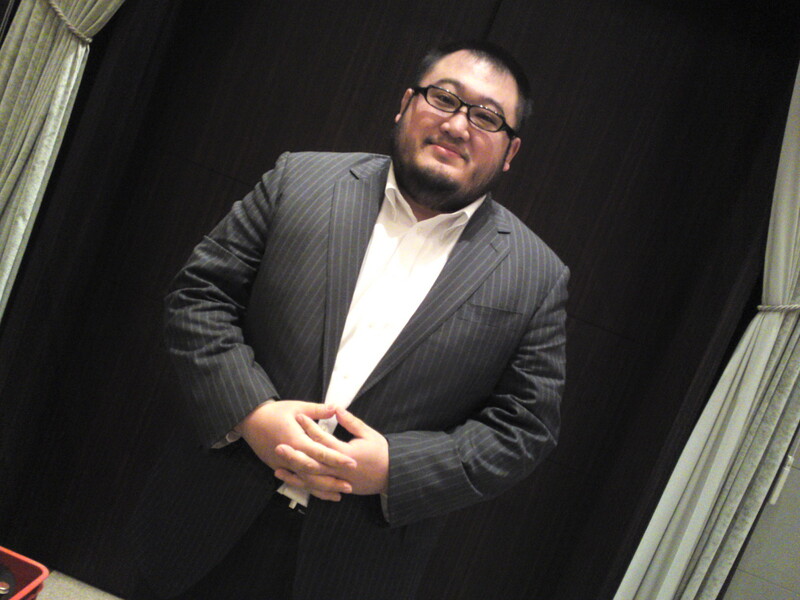 On the other hand Dogatsuru Brewery’s license was acquired by Shizuoka Hiraki Brewery in Shizuoka City! 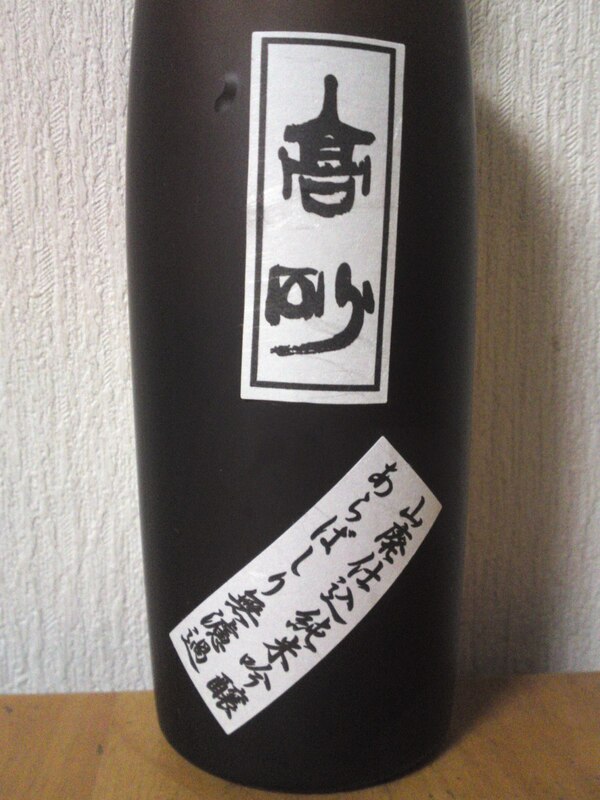 Now, luckily enough Suruga Brewery is still brewing a sake under the name of Hagi no Kura, proving thus a great attachment to culture and history! 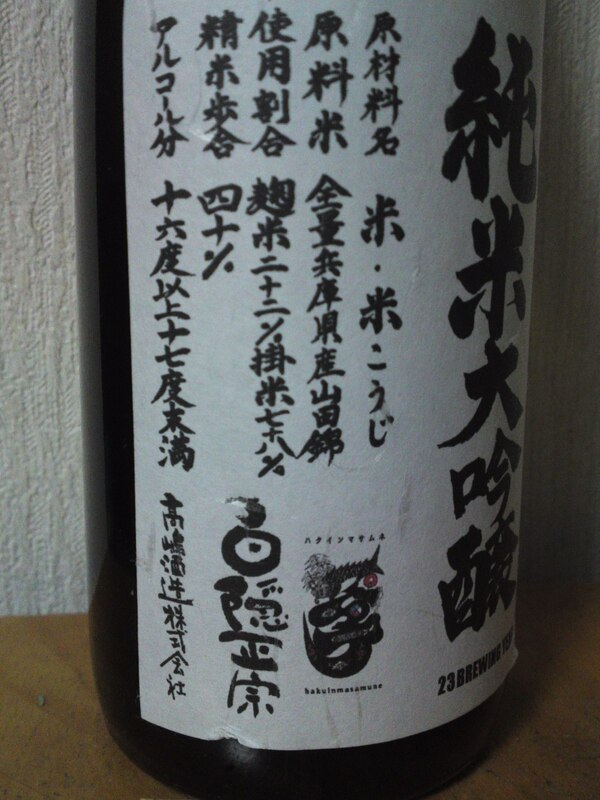 Taste: Dry and very fruity attacked backed up by puissant junmai petillant. Very complex. Custard, milk coffee, milk chocolate. Lingers on only for a little while. Very easy to drink with a liquorish touch. Takes on slightly drier turn with food. Otherwise varies very little then but for an appearance of oranges. Overall: Very easy to drink and enjoyable at all temperatures, with or without food. Very complex. Tends to show new facets with every cup. Probably at its best on its own slightly chilled away from food. Should please ladies in particular! 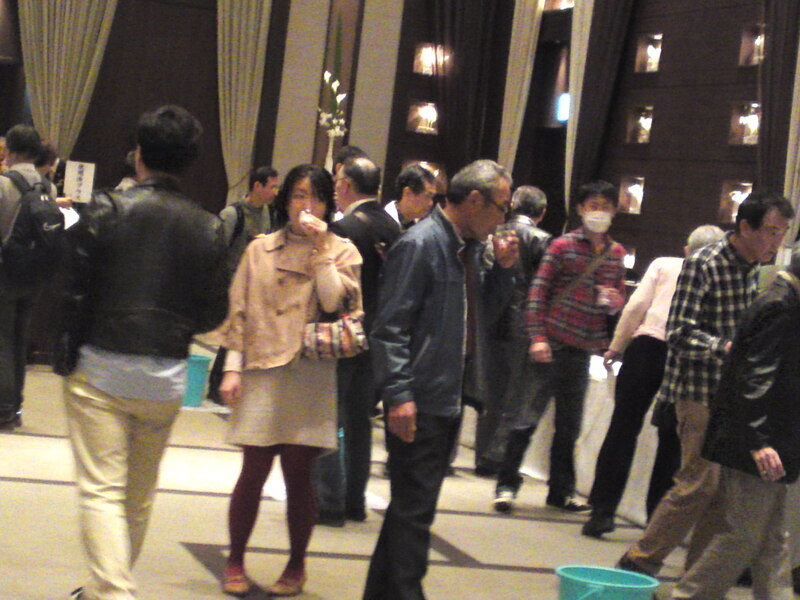 2014 Shizuoka Prefecture Sake Competition Brewery Entrants Party at Aoi Tower, Shizuoka City! 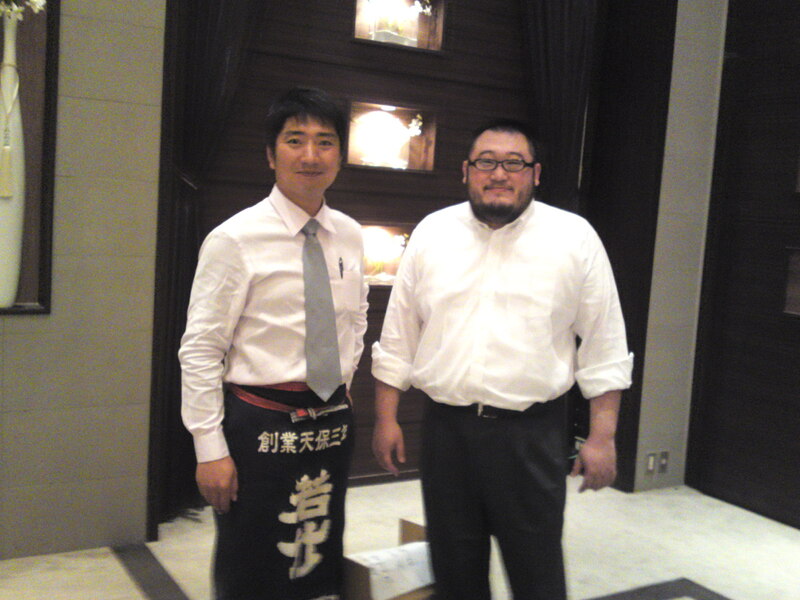 A great friend of mine: Kazutaka Takashima, owner and master brewer at Takashima Brewery in Numazu City! The crowd was fast coming in and I knew it would soon become a horrendous scramble! Just a little time left to take pictures! 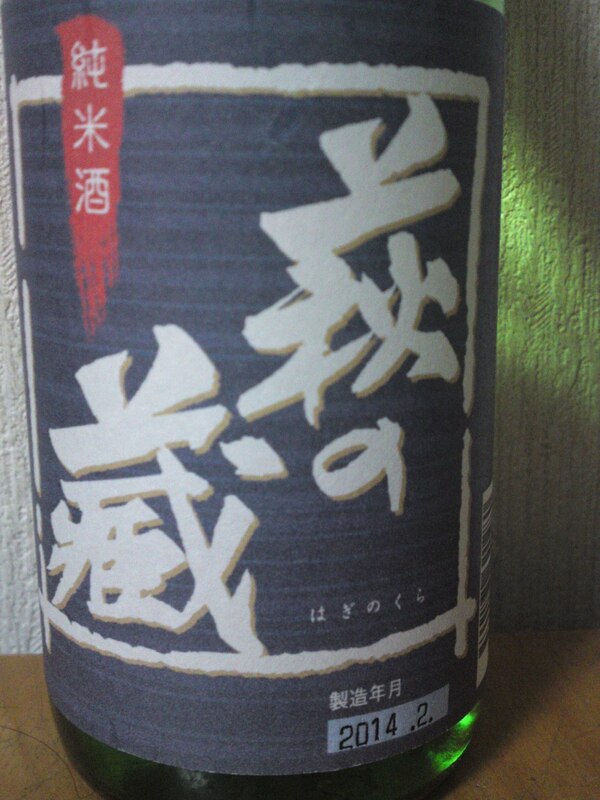 I decided to take only the pictures of the Daiginjo while tasting them at the same time! Note that not all breweries submitted their sake for various reasons (I know them, but I would have to write a whole book!)! Makino Brewery in Fujinomiya City! Fujinisiki Brewery in Fujinomiya City! Takashima Brewery in Numazu City! Fujimasa Brewery in Fujinomiya City! Bandai Brewery in Shuzenji, Izu Peninsula! Fuji-Takasago Brewery in Fujinomiya City! Kanzawagawa Brewery in Yui, Shimizu Ku, Shizuoka City! Eikun Brewery in Yui, Shimizu Ku, Shizuoka City! Haginishiki Brewery in Suruga Ku, Shizuoka City! Suruga Brewery in Suruga Ku, Shizuoka City! Oumuraya Brewery in Shimada City! Aoshima Brewery in Fujieda City! Sugii Brewery in Fujieda City! Isojiman Brewery in Yaizu City! Hatsukame Brewery in Okabe, Fujieda City! Shidaizumi Brewery in Fujieda City! Doi Brewery in Kakegawa City! Senju Brewery in Iwata City! Kokkou Brewery in Fukuroi City! Yamanaka Brewery in Kakegawa City! Hamamatsu Tenjigura Brewery in Hamamatsu City! Hana no Mai Brewery in Hamamatsu City! And then good-bye (until next year? I very much doubt it!) to my friends at Oumuraya and Takashima Breweries! 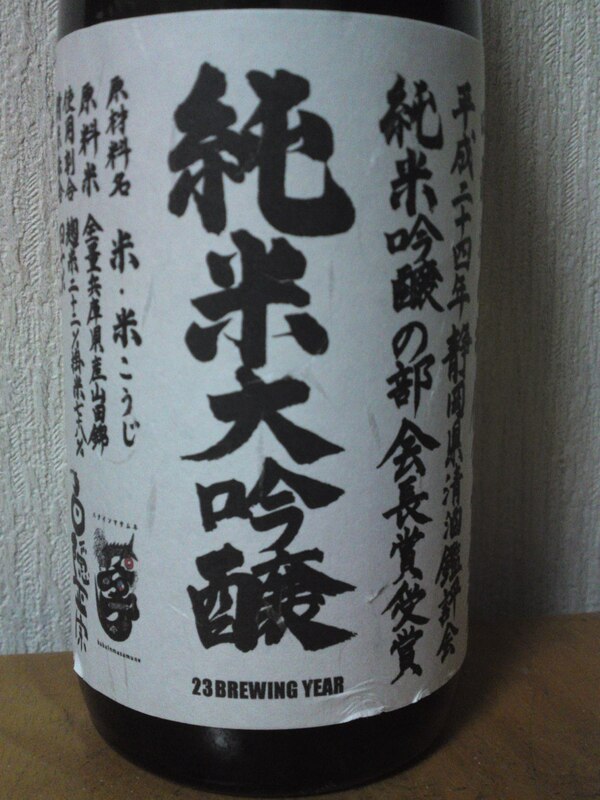 Takashima Brewery has produced another extravagant beauty! This time the label has turned into a calligraphy lesson! 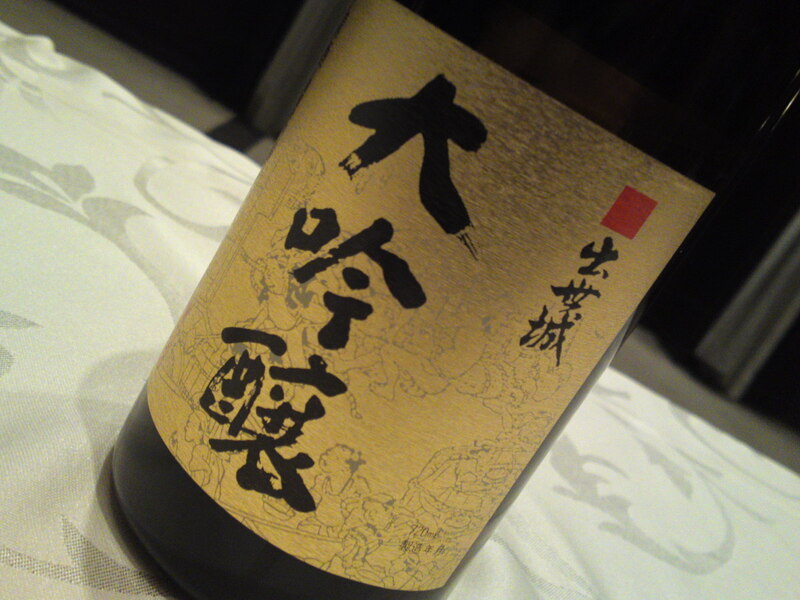 It is a junmai dai ginjo, the very top of the scale, and also a genshu/no pure water added! Aroma: Assertive, fruity, elegant. Custard, faint bananas. 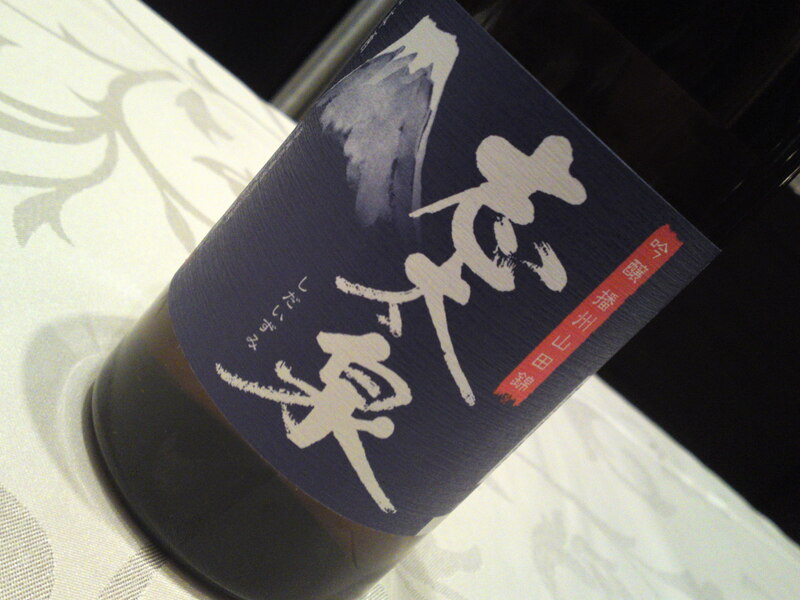 Taste: Soft, dry and fruity attack backed up with puissant junmai petillant. Complex. Custard, oranges, late appearance of dark chocolate. 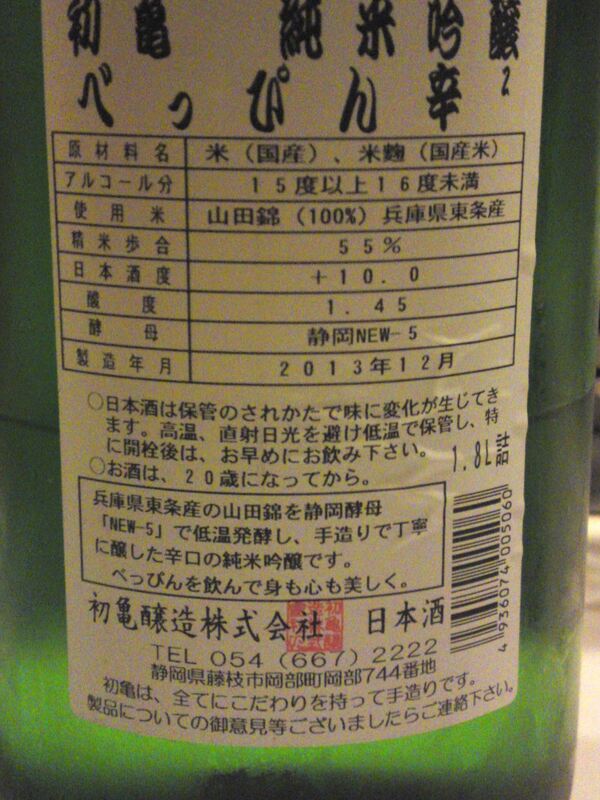 Softer than expected in spite of its genshu high alcohol contents. Elegant. Stays true all the time. Takes a drier turn with food revealing hints of almonds and mandarines. Will turn back to its original facets after a little while once away from food again. So elegant and surprisingly easy to drink in spite of its alcohol contents. Although it superbly marries with any food, it should be drunk alone for its own value. Don’t even drink it as a superb aperitif, but enjoy it as a late night cap, reading an absorbing book, watching a great movie or in the arms of your beloved one. 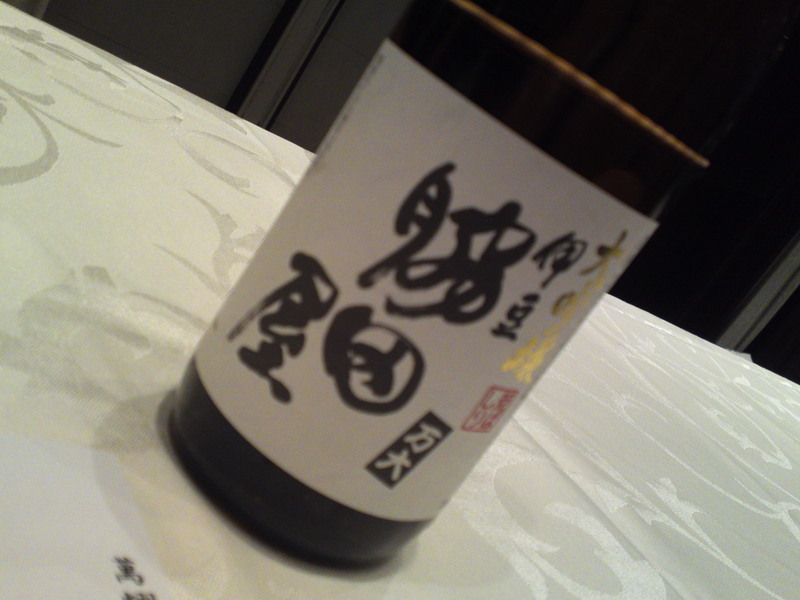 Of course a sake to introduce to a special comapany of connoisseurs! 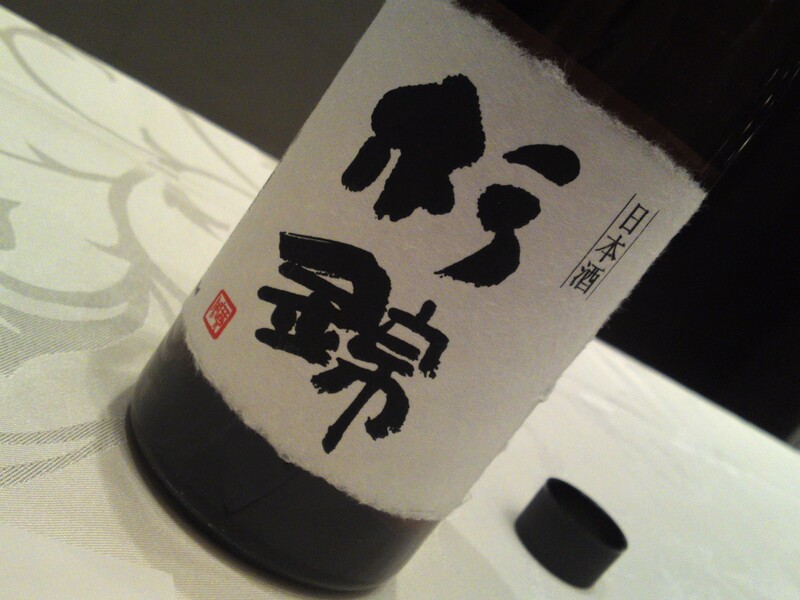 Shizuoka is definitely acquiring deserved recognition for its general approach towards Yamahai sake to the point that “Shizuoka Yamahai” is steadily becoming a byword! Fuji-Takasago Brewery in Fujinomiya City has also been experimenting in Yamahai for quite some and is pretty happy about some remarkable results! Aroma: Assertive. Sweetish. Fruity. Apples, pears, custard. 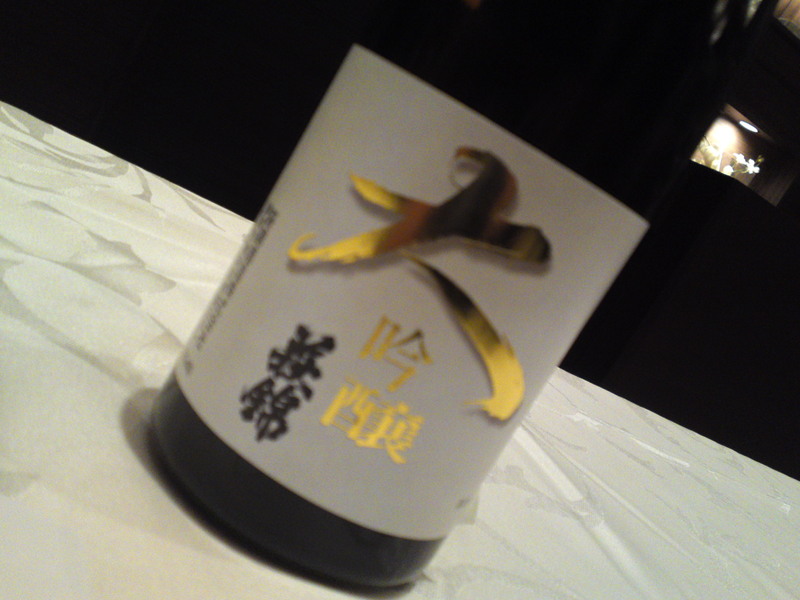 Taste: Very fruity and powerful attack backed up with puissant junmai petillant. Lingers for a short while warming up the back of the palate with more oranges. Varies very little with food. 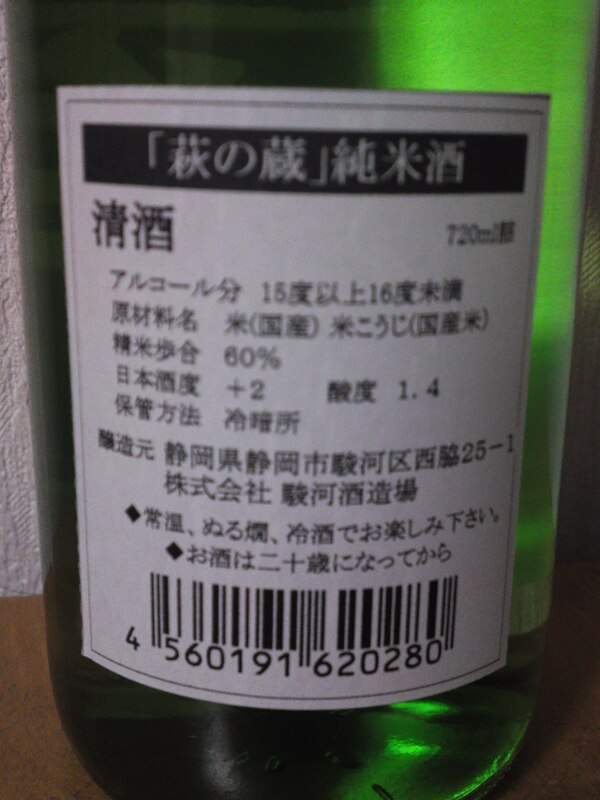 Not as sweet as expected although a -3 dryness is very sweet by Shizuoka standards. 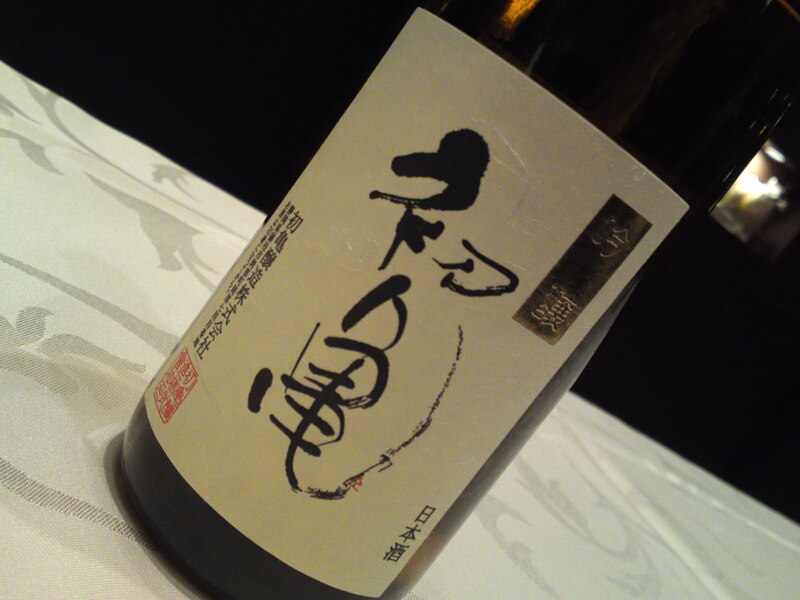 Very elegant, fruity and complex for a yamahai. Stays fruity all the time. Overall: Its comparatively marked sweetness backed up with a very fruity approach makes it a great sake to drink as an aperitif on its own although it does happily enhances food. 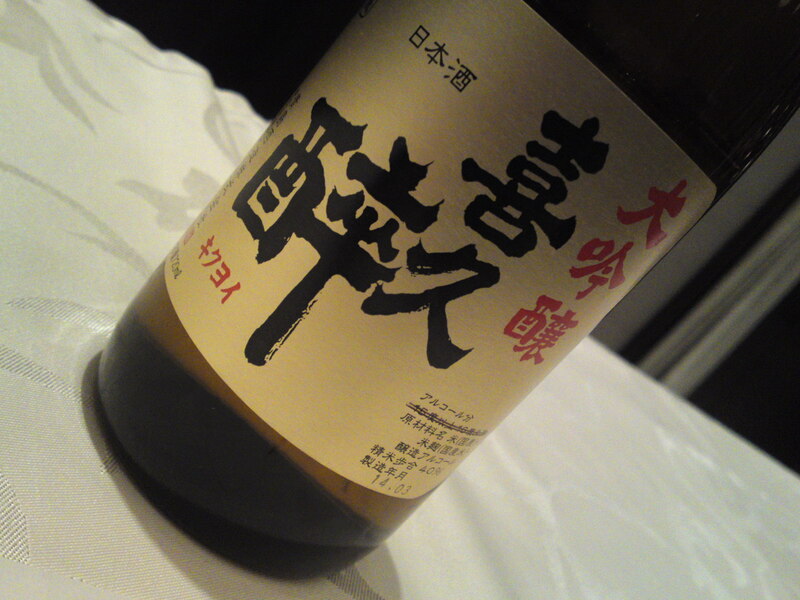 A great sake to combine with cheese or chocolate! 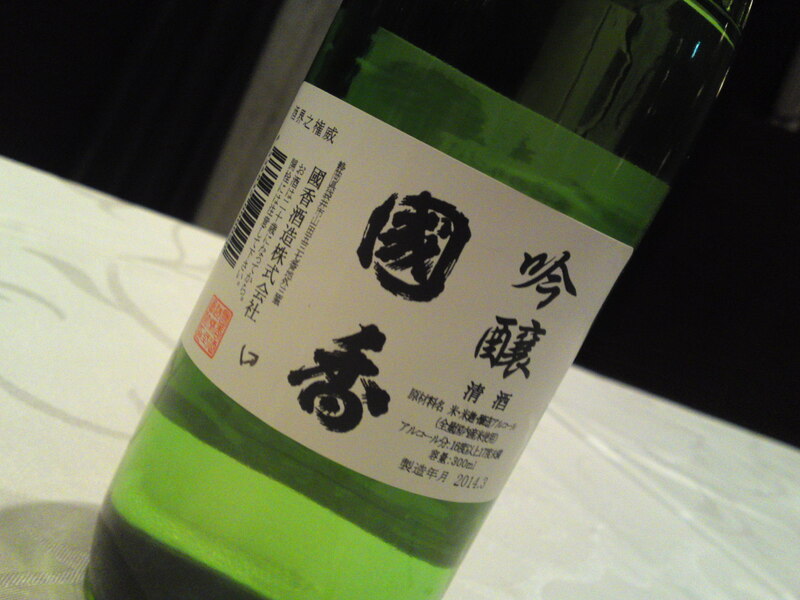 For all its “rough concept/reputation”, this kind of yamahai is a sake that will greatly please ladies in general! 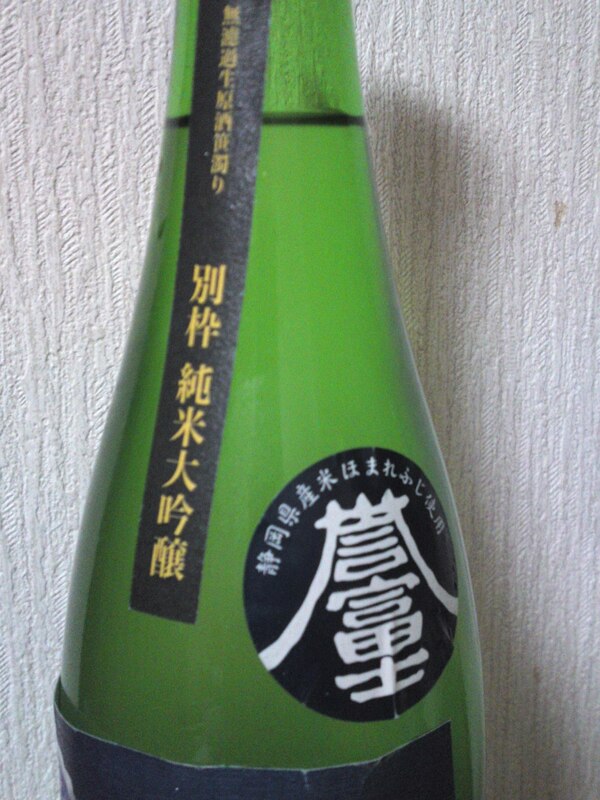 This is an extraordinary sake! 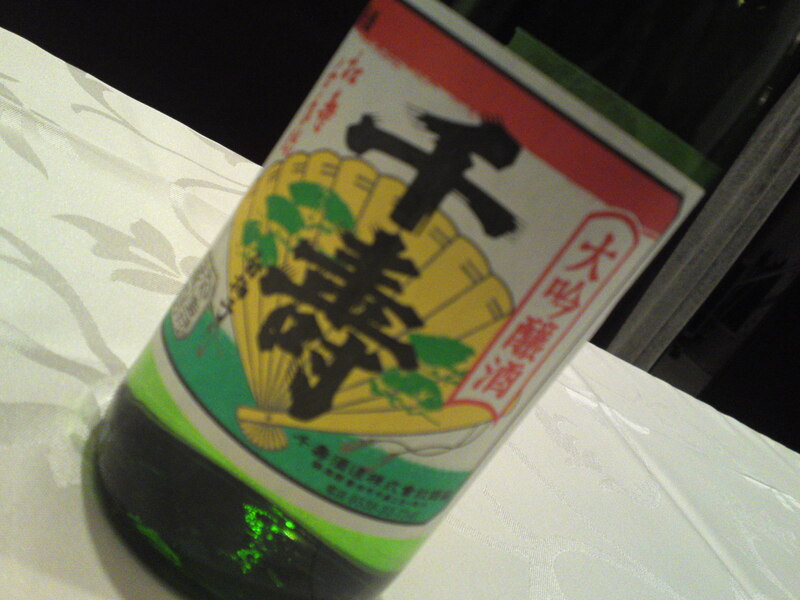 It is made with rice cultivated exclusively in Izu since the Meiji period and sold there only. 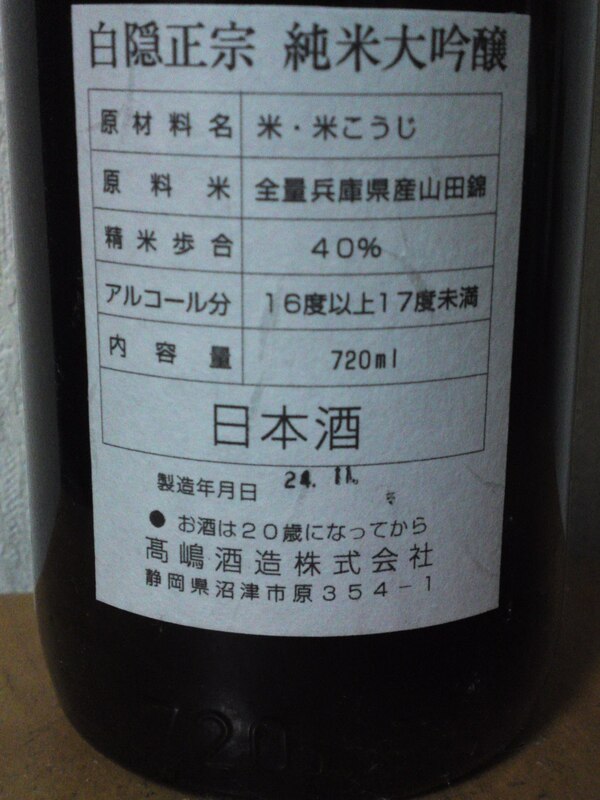 That is, if you do not know a good sake/wine shop who can produce it out of the back storeroom! I can’t really tell where I got it, but if you find it, just do not hesitate! 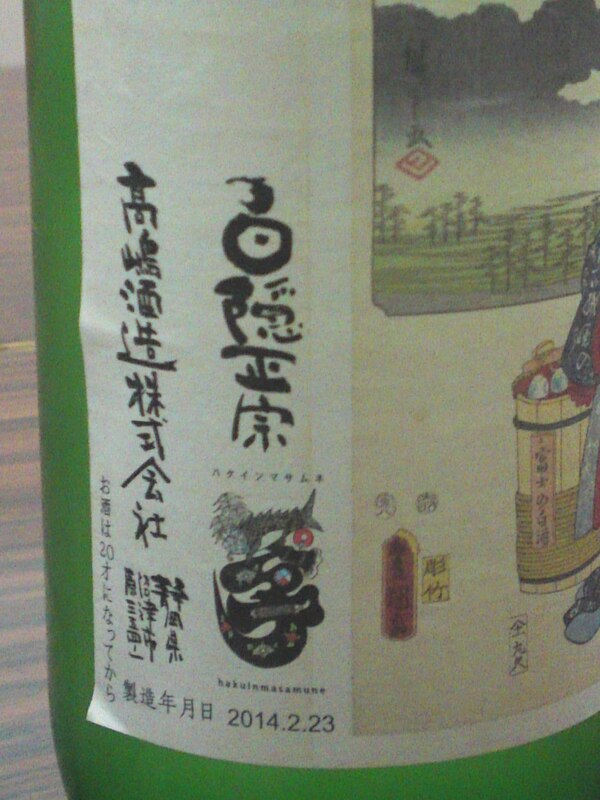 Mr. Mochizuki, owner of the Shidaizumi Brewery in Fujieda City wanted to to give it to Ryuuma, a Japanese hero of the Bakufu and Meiji Periods if he still lived! Exclusively made with Aikokumai rice cultivated in South Izu Peninsula! 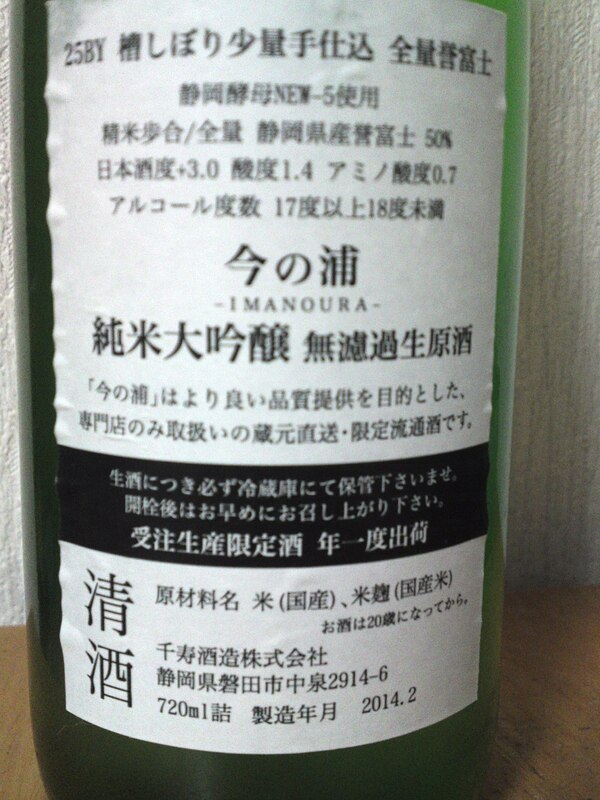 It is not staed as such but it must definitely be a Junmai ginjo! Tasting: Dry and fruity attack. Complex and surprisingly elegant. Strawberries. Lingers for a while warming up the palate before leaving with hints of dry almonds and oranges. Tends to take on a drier turn with food, but on the other hand tends to become sweeter as soon as drunk away from food with strong hints of milk coffee and dark chocolate. 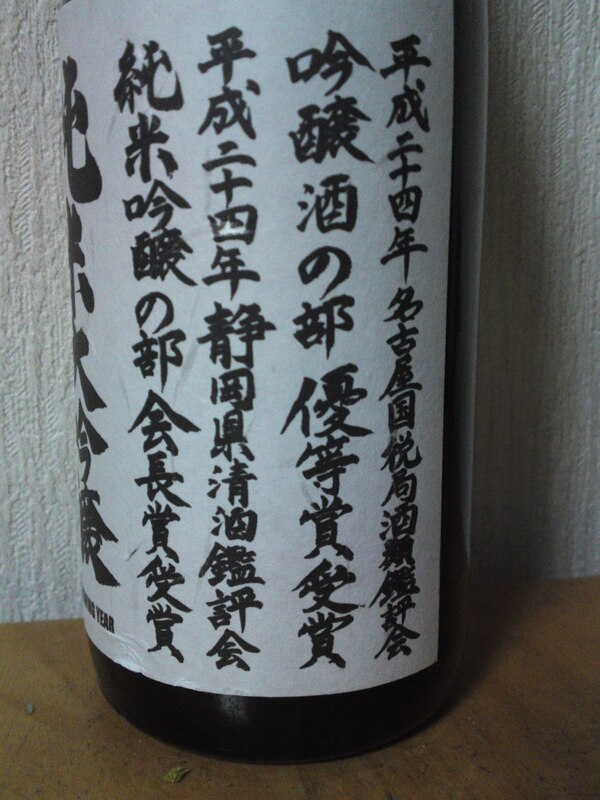 Overall: A very unusual sake in Shizuoka Prefecture, but this is not surprising considering the rice being used. Nevertheless far more complex and elegant than expected, thanks to great brewer’s skills proving that any good rice, whatever its origin, can be concocted into superlative sake! 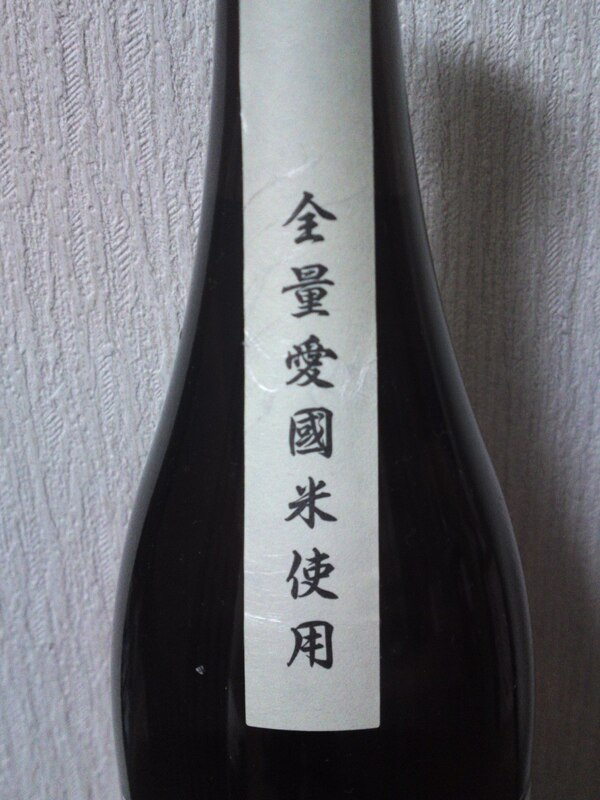 A rare sake that you will have to search in South Izu Peninsula unless you have the right connections! Don’t ask me where I tasted it! It is my kakureya/隠れ屋/secret waterhole! 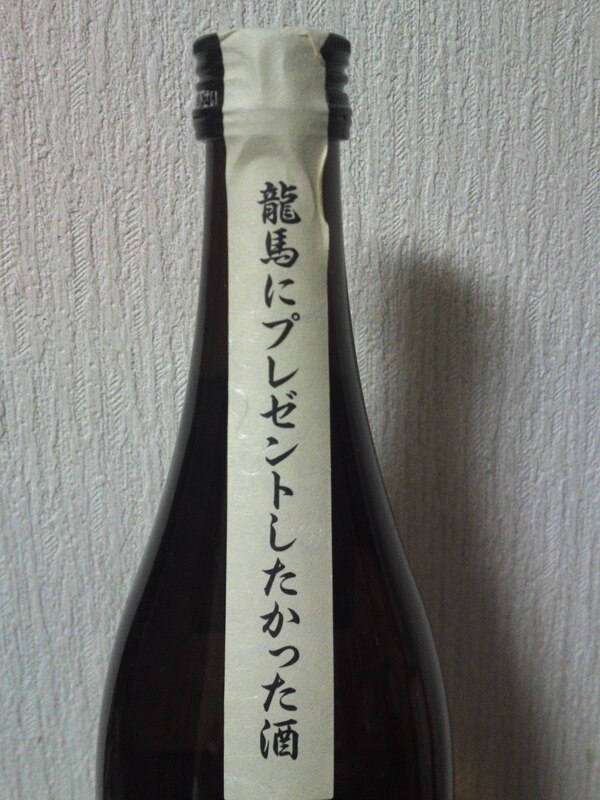 I was shown this bottle by hatsukame Brewery in Okabe, Fujieda City, and i just had to conduct a tasting! “ppin” stnag\ds for “somthing else” and “Kara kara” means “very dry”! If you are cognizant with Japanese food and Shizuoka City you might have an inkling of where I enjoyed it! 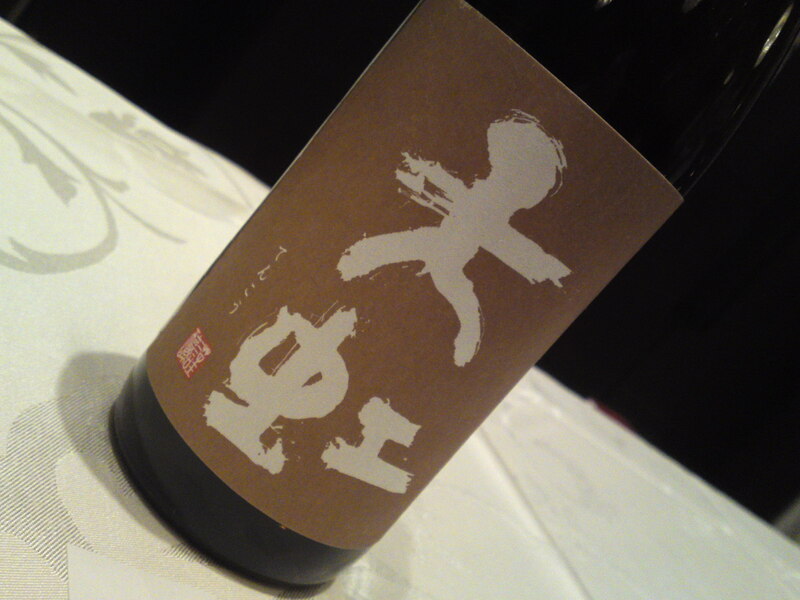 Taste: Very dry attack backed up junmai petillant. Disappears fairly quickly warming up the back of the palate. Takes on an even drier turn with food with more chestnuts and oranges. Insistently calls for the next cup. 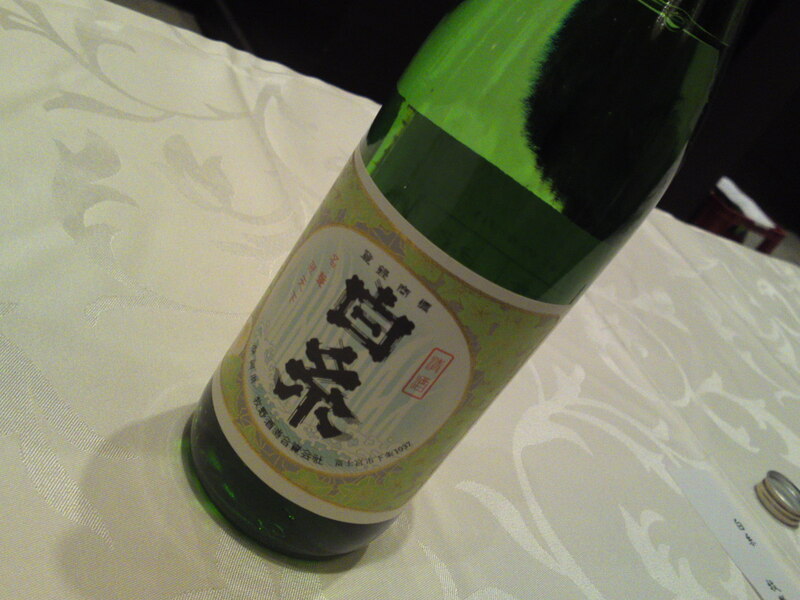 Overall: A sake obviously conceived to superbly accompany food, but definitely and eminently enjoyable on its own. 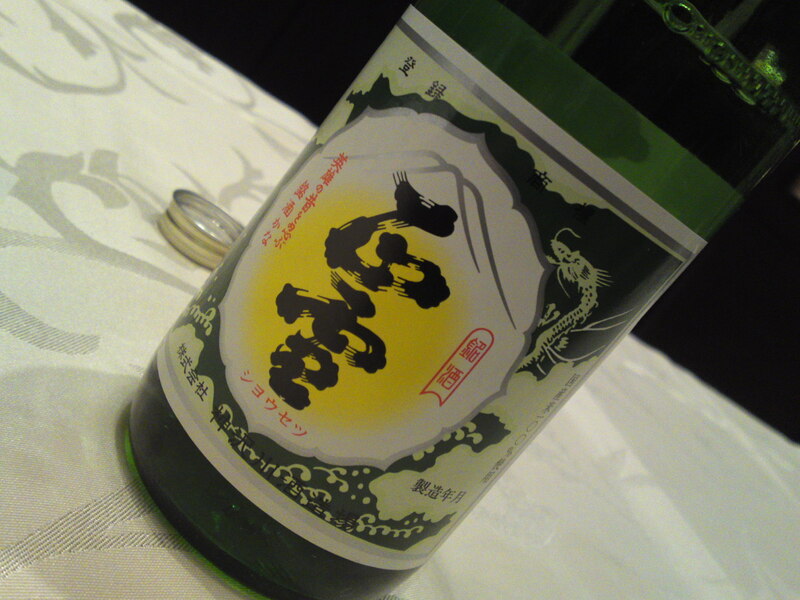 Do not be fooled by the dryness, it is a very complex and elegant sake! February 23rd is Mount Fuji Day in Shizuoka Prefecture and elsewhere! 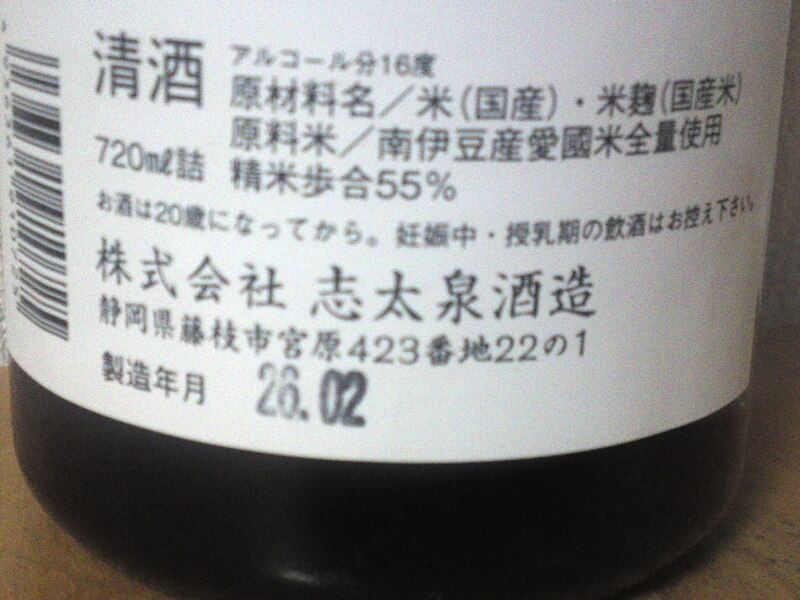 Takashima Brewery in Numazu City made a point to press this special sake on the morning of February 23rd this year! 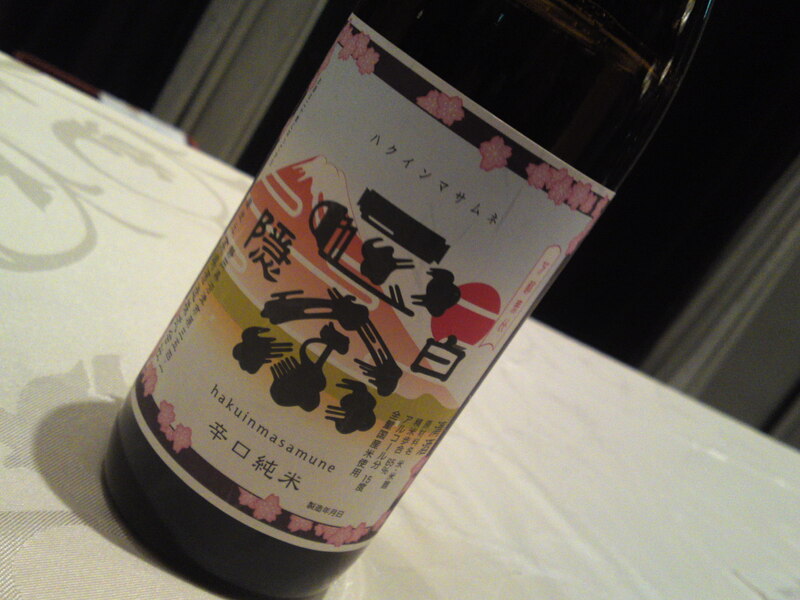 And the label is very special with a wood block print depicting a sake woman peddler! Not only it was pressed on Mount Fuji Day, it was also brewed with a Shizuoka-grown rice including the name of the famous mountain, Homare Fuji! 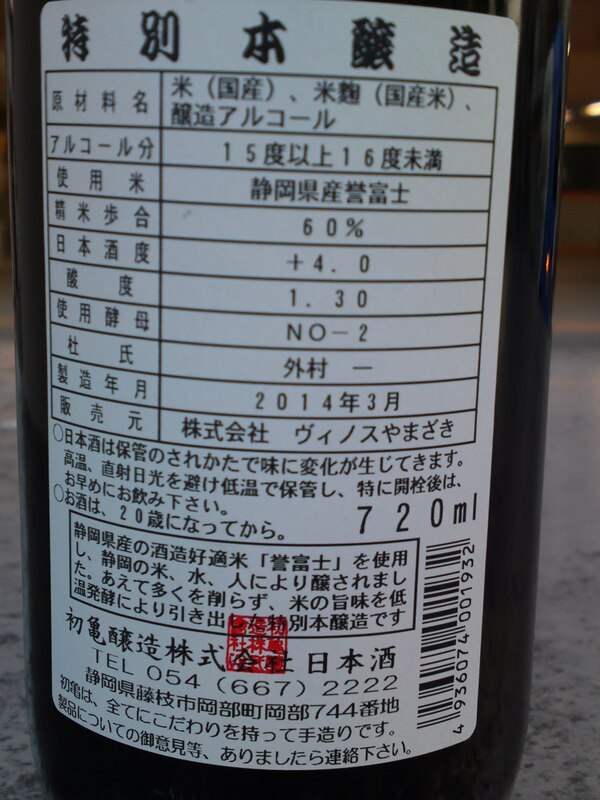 It is also a genshu/unpasteurized, junmai/not pure water added, origarami/gently pressed to allow some white lees/sakekasu to stay inside the sake! 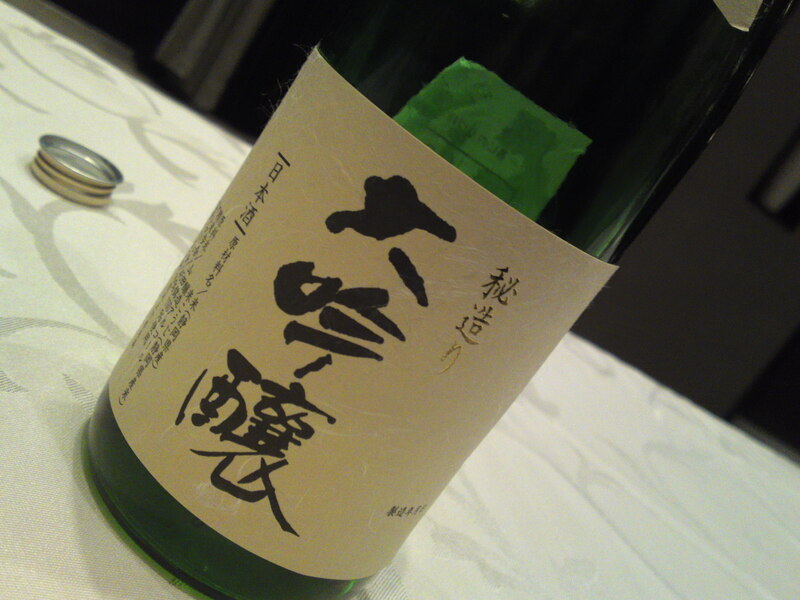 Taste: Strong alcohol-enhanced very fruity deep attack backed up with puissant junmai petillant. White lees add a very dry finish on the tongue and palate with hints of greens. 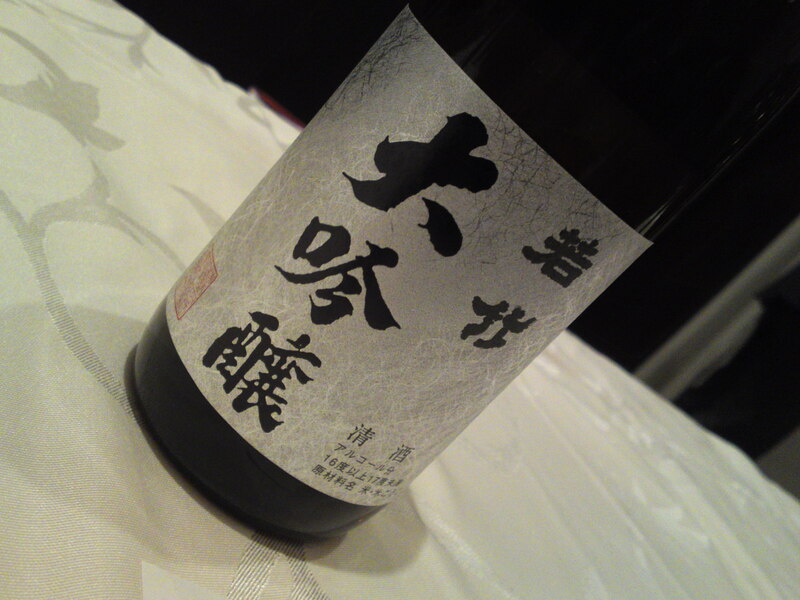 Both elusive and elegant for such a origarami-style sake. Takes on an even drier turn with food. 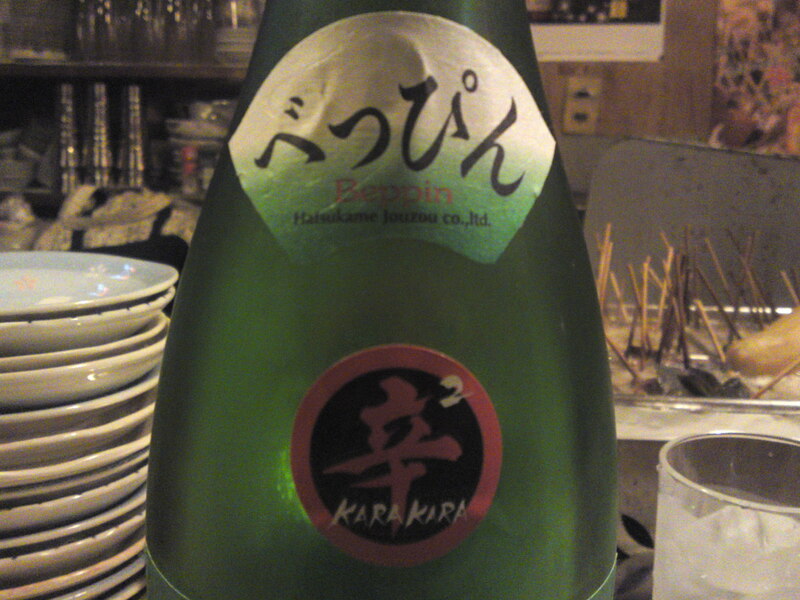 Superbly marries with any food, especially izakaya fare. Overall: Although obviously designed to marry with food, is eminently enjoyable on its own. Such a high quality origarami requires very special skills and inventiveness. A brew for the earthy sake lovers!